CHOPPED - I'm The Chef Too! Step into the spotlight and become a master chef! 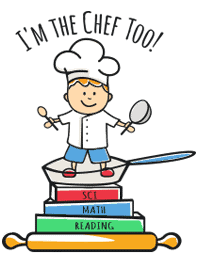 Children will work in teams to whip up appetizers, entrees, and desserts from our basket of mystery ingredients. Creations are then sampled by our panel of judges who rate the dishes in terms of creativity, taste, and appearance. Are you ready to be CHOPPED?